In your head, the copy you want to write for your new landing page, marketing email, or blog post sounds amazing. It’s simple, punchy, and it’s even got some personality. But when you try to type it onto a page, you hate the way it sounds. Instead of effortlessly rolling off your tongue, it’s dense, long-winded, and a mission and a half to navigate. Don’t sweat it, though. 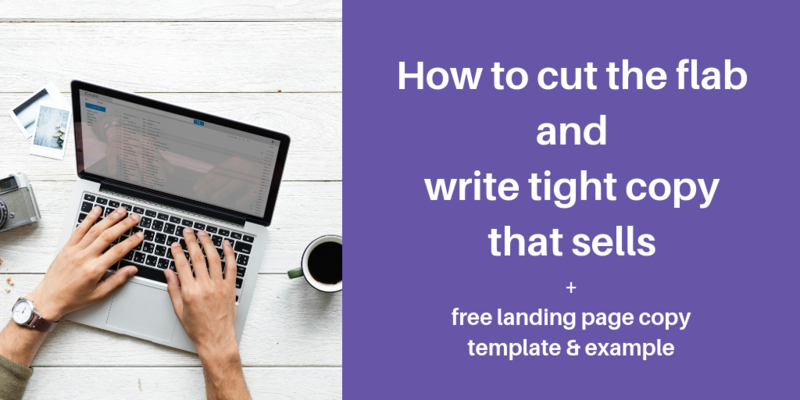 Because in this blog post, I’m going to teach you how to cut the flab from your sentences so you can write tight copy that makes your landing pages, blog posts, and emails convert. In other words, I’m going to show you how to take that overbattered chicken finger and shake off all that extra dredge. The result? You get simple, straightforward copy that gives you leads, subscribers, and sales. Here are my top 15 tips for writing tight copy that sells. Get more sales, clients, or email subscribers by learning the formula that makes landing pages convert. Download my free landing page copy template + full example. This tip for writing tight copy may sound a bit crazy. After all, don’t you need that first paragraph or section if you want your copy to make sense? Well, writing tight copy is all about communicating a message powerfully and effectively without using any unnecessary words. And if the first paragraph or section of your copy truly is an essential foundation for your message, you should keep it. 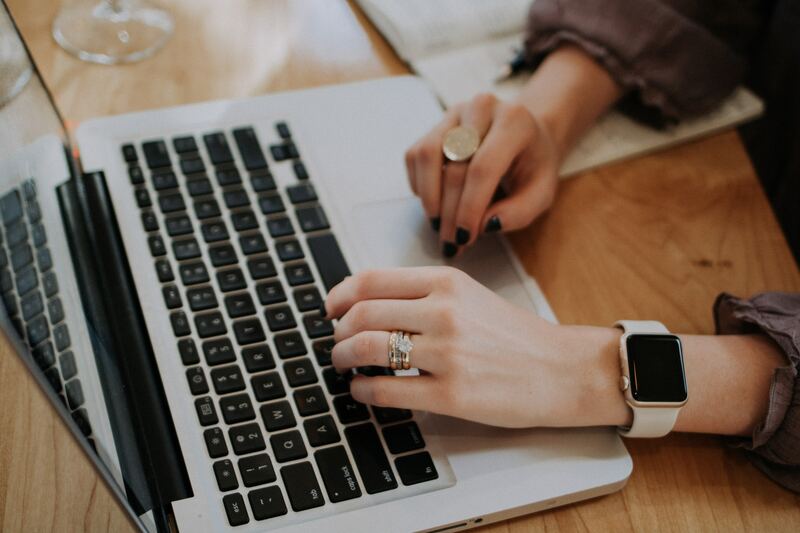 But in most cases, the first few sentences or the first paragraph you churn out for your landing page or marketing email isn’t critical for supporting your key message. It may seem relevant at first. But if you cut it out, you’ll find that your copy gets to the point much faster. “In the summer, it’s easy to feel energized. It’s warm outside, the sun shines for most of the day, and you have an entire season of BBQs and pool parties to look forward to. During the fall and winter, however, it’s a bit of a different story. It’s cold outside, it’s still dark when you wake up, and you’re constantly having to brace yourself for the next big snowstorm. It’s no wonder why you wish you could keep hitting the snooze button until spring. 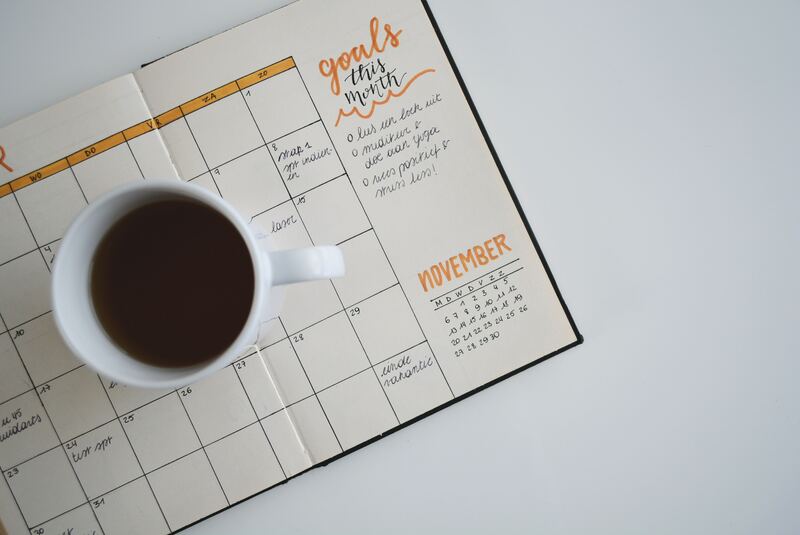 “During the fall and winter, it’s hard to find the energy to tackle your neverending to-do list. It’s cold outside, it’s still dark when you wake up, and you’re constantly having to brace yourself for the next big snowstorm. 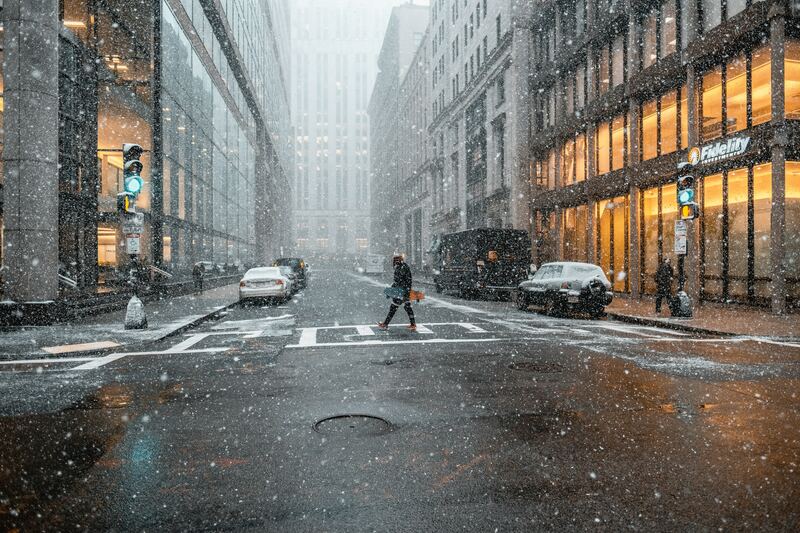 It’s no wonder why you wish you could keep hitting the snooze button until spring. Cutting the original first paragraph shortened my intro and allowed me to get to the body of the blog post faster. In other words, it made my copy tighter. When you’re writing a blog post or marketing email, it’s always fun to throw in a cute story about your dog or share some extra tips. There’s nothing wrong with this if the story or tips are relevant to the main point you’re trying to convey in your email. 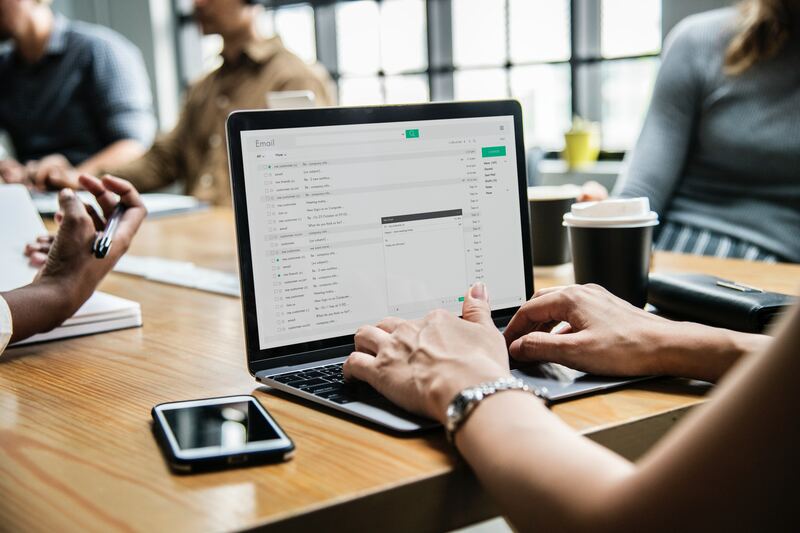 For example, if you’re writing a blog post on how to choose the right email marketing software for your brand, you may include a list of suggested software options. But if your story or tips are only somewhat related to your post or email, they’re tangents. 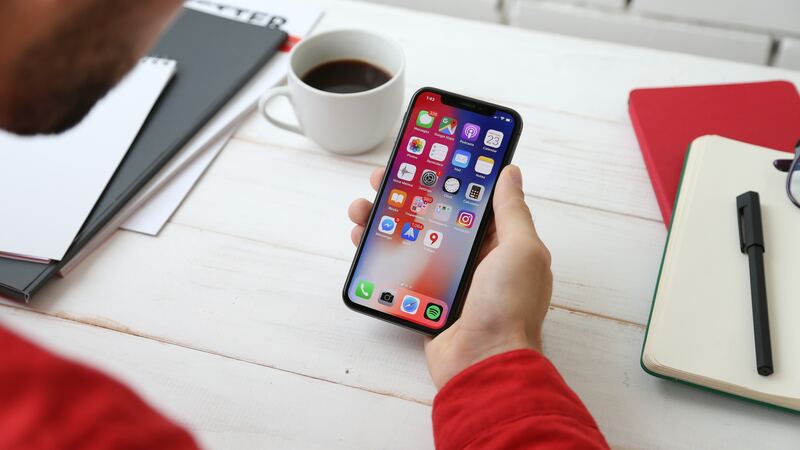 Instead of helping your audience understand your key message and convincing them that they need to take you up on your call to action, they’re distracting your audience. And they’re making it less likely that they’ll convert. For example, including tips on how to design email templates may seem relevant to a blog post on choosing email marketing software. But because the tips focus on designing email templates (rather than on which email marketing software to use), they’re not relevant to the main focus of your copy. Write tight copy by ensuring that any paragraphs, tips, examples, and stories are directly related to your key message. If they aren’t, eliminate them but don’t chuck them in the trash. Although they may not fit in your current copy, you can always use them in future posts or emails. For example, I could take the tips on how to design email templates and use them to write a separate blog post on email templates. Your copy can be entirely on-topic and still be flabby. How? If it’s peppered with redundant words. Redundant words are words in a sentence or paragraph that repeat information that’s already been conveyed by other words. In this example, “exact” and “same” are redundant because they mean the same thing. Because redundant words repeat info you’ve already mentioned, you can cut them from your copy without changing the meaning of your copy. Like redundant words, unnecessary words don’t pull their weight in your copy. Why? They add bulk to your copy without adding any unique information or meaning. In this example, “actually” and “really” are unnecessary words. They don’t change the meaning of the sentence or even add any meaningful emphasis to it. As a result, you can make your copy tighter by removing them. It may make sense to use these words sparingly in blog posts or other more casual copy when you want to create a conversational tone. 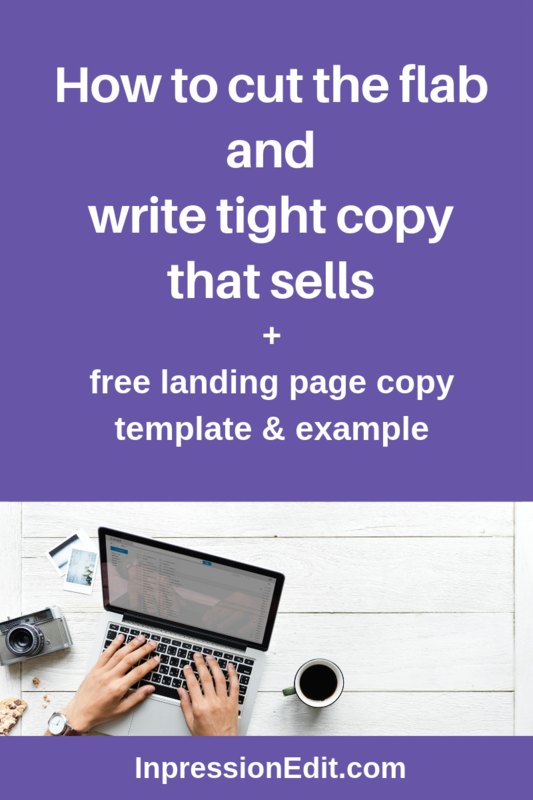 But when you’re trying to sell an online course on a landing page or promote your graphic design webinar in an email, you want to write tight copy by eliminating unnecessary words. I love simplifying wordy phrases because it’s one of the easiest ways to make your copy more concise. You just need to get over the mental obstacle of simplifying your copy. Many people think they’ll sound smarter or more impressive if they use complex words and phrases. And that’s what leads people to write copy that contains wordy phrases. What’s wrong with using weak adjectives and adverbs (like “really good”)? They make your sentences longer than they need to be. But more importantly, they limit the impact of your sentences by filling them with words that are less descriptive and evoke weaker mental images or emotions. How do you cut weak adjectives and adverbs from your sentences so you can write tight copy? Replace them with strong words. You may have learned to avoid using contractions (like “can’t” and “won’t”) in your high school English classes. But when it comes to writing tight copy for your landing pages, blog posts, or emails, contractions are your friends. That’s because contractions not only take up less space in your copy but also make it sound more personable. Just take a look at these examples to see what I mean. The contraction makes the second sentence feel more casual and, therefore, more accessible. Another way to write tight copy is to remove the word “not” from your sentences. When you use “not,” you end up defining something based on what it isn’t instead of what it is. The “not” adds length to your copy. But more importantly, it’s easy to miss, which increases the chances that your audience will misread your copy. You can tackle both problems by removing “not” from your copy. To do this, define whatever you’re talking about based on what it is, not on what it isn’t. Sometimes, the word “that” plays an important role in a sentence. But in many cases, it just adds bulk to your copy without adding any meaning. As a result, you can write tight copy by removing “that” when you don’t need it. A lot of words come in two forms: a noun form and a verb form. Some people think the noun versions of words sound sexier because they seem more formal. But the noun forms of words are usually longer than the verb forms, which means they take up more space in your copy. And that’s not all—the noun forms of words usually force you to add extra words to a sentence to make it grammatical. This makes your sentences even more bloated. To cut the flab from your copy and make it tight, stick with the verb forms of words. 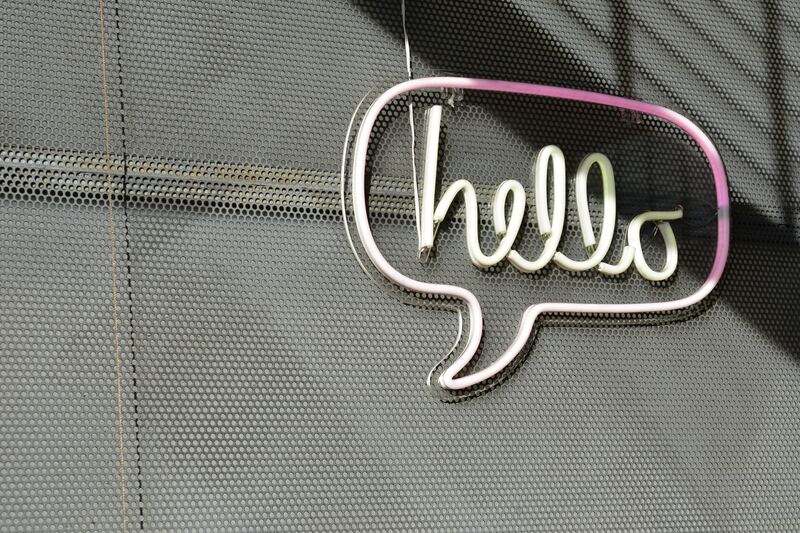 Prepositions (words like “of,” “to,” and “for”) are like needy friends. They can’t stand alone and constantly need to have other people with them. As a result, they tend to make copy wordy. Some sentences need prepositions, so you don’t want to eliminate them from your copy entirely. But in many cases, you may be able to write tight copy by taking them out. This tip for writing tight copy isn’t about which words you can remove to get rid of flab. Instead, it’s about becoming comfortable with the idea of deleting wordy copy even if it sounds great to your ears. When you’ve spent a lot of time writing a section of copy that sounds poetic or impressive, you may be tempted to keep it in. But if you truly want to write tight copy, you’ve got to be willing to let go of wordy copy no matter how great it sounds or how much time you’ve spent on it. After all, tight copy usually comes from taking a wordy first draft and cutting out flab to make it more concise. So if you want to write tight copy, practice letting go of words and phrases that sound great but take up far too much space. 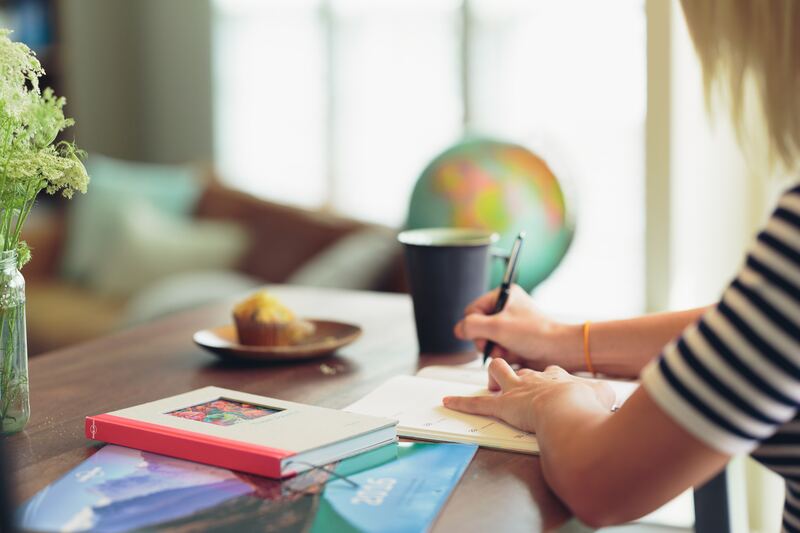 Writing tight copy is less about crafting powerful, concise sentences right from the get-go and more about editing sentences until they’re clear and straightforward. That’s why whenever you write copy, it’s important to schedule time to edit it. This gives you dedicated time to review your copy, reflect on it, and identify all the places where you can tighten it. In this post, I’ve told you that writing tight copy is mostly about editing a wordy rough draft effectively. But there is something you can do to limit how wordy your first draft is. What am I talking about? Making an outline. If you’re like many people, you may ramble when you write as a way of sorting through thoughts in your head. Making an outline before you write allows you to shift this thought-sorting process to the pre-writing stage. As a result, it can help you craft copy that’s more straightforward and concise from the beginning. Many people think that writing tight copy is about being a good writer. But in reality, it’s mostly about editing wordy copy to make it more concise. As a result, if you’re not a superstar copywriter, don’t sweat it. As long as you implement the tips I’ve shared above, you’ll have the tools you need to write tight copy that sells.